Summary: In January, Freakwater joins a long list of Chicago artists for the Big Shoulders Ball at the Black Cat in Washington DC the night before President Obama's inauguration. Janet Bean and Jim Elkington, collectively known as the Horse's Ha, release their debut record, Of the Cathmawr Yards, June 9th on the Hidden Agenda label, and tour the northeast intermittently throughout the year. Eleventh Dream day plays a handful of shows, too. Dave Gay tours and records with the Reigning Sound. Catherine plays occasionally at benefits, etc., in Louisville. In December, Freakwater record a new song for the Radio Free Song Club podcast. In December, Ear X-stacy releases Face A Frowning World: An E.C. Ball Memorial Album, featuring was released by Ear X-tacy in December. It features tracks by Catherine Irwin and many of her peers. 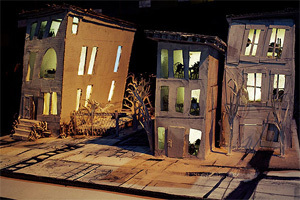 2009.01 Catherine Irwin contributes, along with a cadre of artists, to assemble a "sprawling, imaginary cityscape" called The Exquisite City, a exhibition at the Chicago Tourism Center. 2009.01.19 Freakwater and Eleventh Dream Day played as part of The Big Shoulders Ball at the Black Cat in Washington, DC on January 19th in celebration of the inauguration of Barack Obama, benefiting the Chicago Public Schools marching bands program and the Future of Music Coalition. Read a blogger's review here. 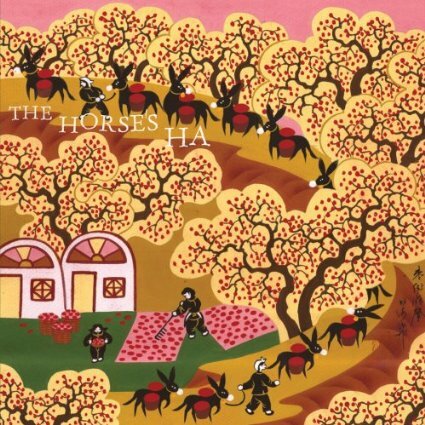 2009.06.09 The Horse's Ha (Janet Bean, Jim Elkington) release their debut LP, Of the Cathmawr Yards, on the Hidden Agenda label. The LP rated at 79 at Metacritic. 2009.06.27 The Horse's Ha play at Cowboy Monkey, Champaign, Illinois. 2009.07 David Wayne Gay records and tours with The Reigning Sound over the course of the summer. 2009.07.02 Eleventh Dream Day play the Taste of Chicago Festival, Chicago. 2009.07.03 The Horse's Ha play Schuba's, Chicago. 2009.07.17 Brett Eugene Ralph's Kentucky Chrome Review, featuring Catherine Irwin, plays at Vernon Lanes, Louisville. 2009.07.18 Catherine Irwin plays the Lounge, Louisville. 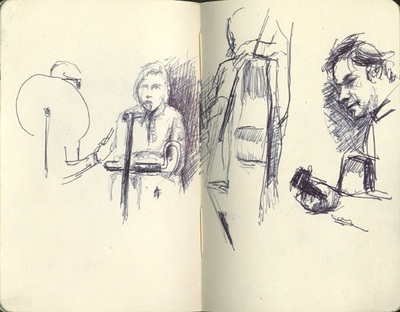 2009.07.31 The Horse's Ha open for the Mekons in Brooklyn and on August 1st in Manhattan. 2009.12 Catherine contributes the track "Cabin on the Hill" to the Face A Frowning World: An E.C. 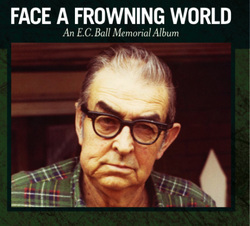 Ball Memorial Album, released by Ear X-tacy. It also features tracks by Dave Bird, The Handsome Family, Bonnie "Prince" Billy, Jolie Holland and Samantha Parton of the Be Good Tanyas, and Joe Manning, among others.